Now, people who know me understand that I have been truly cursed, as I often lay in bed thinking back to my time spent in this city wondering if my life will eventually return to these irresistibly mesmerizing foothills. 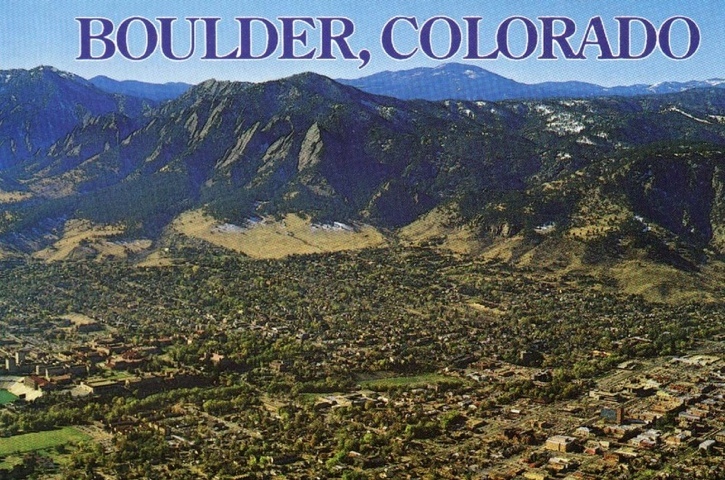 Lucky for me, this weekend a wedding has required my presense in Boulder Town for the next four nights and five days. So, here I am, once again proving the Niwot Curse correct, which I must admit gives me both pleasure–as I’m pleased to be a part of the confirmation of any Native prophecy–, as well as pain, since seeing as I am perceived by the State to be a “white male,” I have been cursed doubly, having to bare the racist genocidal legacy of Euro-conquerors, as well as Chief Niwot’s ominous proclamation, which states that after having touched Boulder ground (as I did for four years back in the mid-aughts) I will be forced to return and subsequently destroy a tiny piece of my favorite land’s beauty every time I do. Then I thought about how long his hair was, and I have been blessed with gorgeous baldness. Then I wondered if New York City (and regular blogging) had made me a snarky jerk. But then I met a gentleman–also in town for a wedding, but one that made allowance for the scented décolletage–who happened to have an interest in spirituality and architecture, and specifically how the two inform one another, and we talked about it for some time.